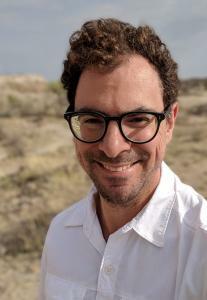 Dr. Blumenthal studies the ecology and evolution of early hominins in Africa. His research is focused on hominin diets and environments, and lies at the intersection of paleoanthropology, paleoecology, and geochemistry. His research integrates work in laboratory, field, and museum settings to study animals, plants, and climates in the past and present. Current projects are focused on diet seasonality in fossil hominins and papionins, fossil mammal diets and paleoenvironments in eastern Africa, as well as the ecology of extant non-human primates and large mammalian herbivores. Recent publications have appeared in the Proceedings of the National Academy of Sciences, Journal of Human Evolution, American Journal of Primatology, Scientific Reports, Quaternary International, and Geochimica et Cosmochimica Acta. His research has been funded by the U.S. National Science Foundation, Natural Environment Research Council (UK), British Academy (UK), Leakey Foundation, Wenner-Gren Foundation, and National Geographic.